​​Real Madrid continue their ​La Liga campaign with a trip north to face Athletic Bilbao. The two will meet at the San Mames on Saturday night in a prime time clash. With the away side fairing better than the home team so far this season, logic would point to a comfortable victory for Los Blancos. However, Real Madrid haven't always had it their way in the Basque Country, with only two wins in their last five trips against Los Leones. No longer reliant on ​Cristiano Ronaldo, this year marks a new era at the Santiago Bernabeu. Whether it be ​Gareth Bale, Karim Benzema or Marco Asensio, Los Blancos need a goalscoring machine. Here's a look at what we can expect for Real Madrid's clash with Athletic Bilbao. 'El Viejo Clasico' - the old classic - was the most played game in Spanish history right up until 2011. Now surpassed by Real against ​Barcelona, the rivalry between the two sides was far more heated in prior days. No match better signals the hatred between these two then back in 1990, when the away side were awarded a controversial penalty by referee Antonio Nieto. The game was suspended for almost 15 minutes as incensed Bilbao fans rained projectile missiles down towards Real goalkeeper Paco Buyo and the nearside linesman. After a delay, the match restarted and goalscoring phenomenon Hugo Sanchez converted from the spot for John Toshack's side. Midway through the second half Ricardo Mendiguren equalised for Athletic, and the game ended all square. After their earlier riot, the Spanish FA forced Bilbao to play their next home fixture away from the San Mames, which was closed for one game as consequence. Therefore, a 2-2 draw against Real Valladolid was played out the bizarre surrounding of Real Sociedad's Atotxa Stadium. Athletic's form has been patchy, with one win and one draw. While the majority of La Liga have played three games, Bilbao's last fixture before the international break was postponed. An away match to Rayo Vallecano got cancelled due to safety concerns over building work not yet being finished. Their first league match saw a last minute winner from Iker Muniain down Leganes, before conceding a late goal saw them draw 2-2 with newcomers Huesca. As for ​Real, Los Blancos have recovered form their 4-2 defeat to city rivals ​Atletico Madrid in the UEFA Super Cup with three league victories. An opening 2-0 win against Getafe was followed by consecutive 4-1 drubbings of Leganes and Girona. The star man so far has been Karim Benzema, who has stepped up after the exit of Cristiano Ronaldo. Although it's far too early to tell if this sort of form will last, four goals has the Frenchman currently tied with ​Lionel Messi in the Pichichi race. There are few injury worries for Bilbao's new coach Eduardo Berizzo, and in very problematic positions. Most importantly, first choice goalkeeper Iago Herrerin is expected to miss out again as he recovers from a bicep tear. Stalwart forward Artiz Aduriz has return from hamstring troubles and should lead the line, while central defender Inigo Martinez got some minutes for Spain recently during the international break. Luckily for Julen Lopetegui, he has no fresh concerns. Alvaro Odriozola is back to full strength, although it's likely Dani Carvajal will keep his place at right back. Elsewhere, Raphael Varane will almost definitely reclaim his position from Nacho. 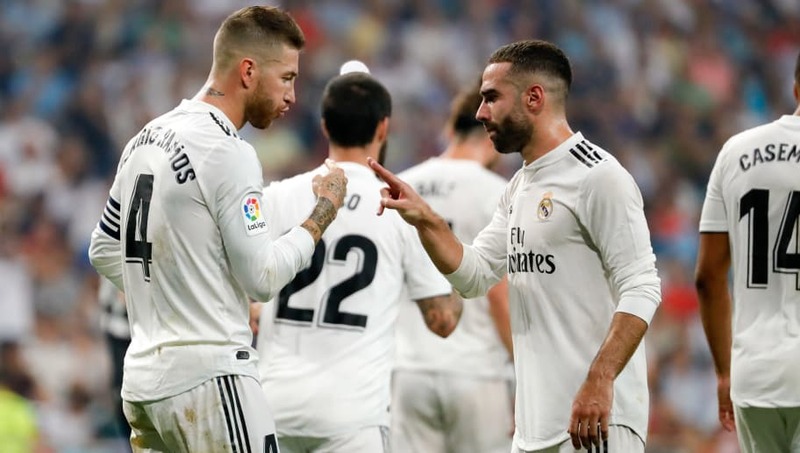 The real dilemma for Real's manager is in the attacking area, as Isco, Dani Ceballos and Marco Asensio all fight for a place on the left side. With ​Gareth Bale and Karim Benzema locks after fantastic early season from, two of the three young Spaniards will find themselves disappointed. Potential Athletic Bilbao Lineup: Simon; Marcos, Alvarez, Martinez, Yuri; Muniain, Dani Garcia, Raul Garcia; Susaeta, Aduriz, Williams. Potential Real Madrid Lineup: Courtois; Carvajal, Ramos, Varane, Marcelo; Casemiro, Kroos, Modric; Bale, Benzema, Asensio. With the international break cutting short any early season fluidity, it will be interesting to see how both react this Saturday. Returning from a week or so away is never easy, and if either side manages to gel in the opening stages they'll have a very good chance of taking something away from this match. Still trying to reassemble some sort of identity after a terrible 16th place finish last term, the home side will be in big trouble if Los Blancos strike early.